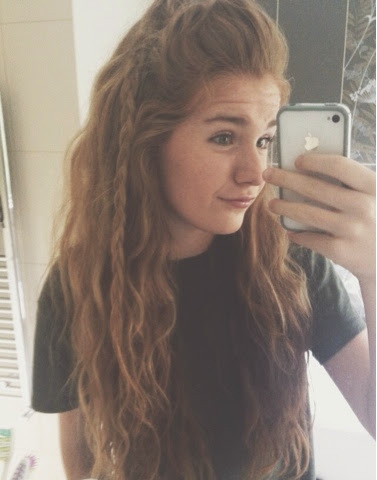 I have naturally curly hair, on top is more wavy and underneath I get ringlets. I normally straighten my hair (which makes my ends quite dry) however recently I've been finding loads of hairstyles I love which really suits curly hair (I'll show my favourite at the end) These 6 hair products are my must haves and my life savers. 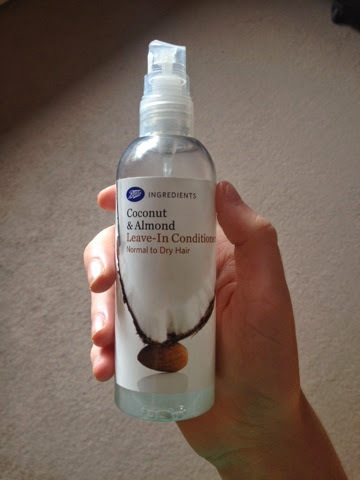 First of all once I've washed my hair I'll towel dry it and then becasue my hair gets really tangled I'll spray in Boots Coconut & Almond Leave in Conditioner (Boots - £1.49 for 150ml) it's an absolute bargain! 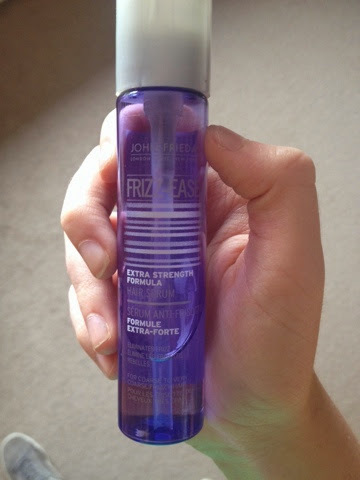 It smells amazing and gets the knots out striaght away without weighing it down or making it greasy! This product is my favourite, if I could only use one of these for the rest of my life i would pick this. A tiny bit goes a long way and I can tell a huge difference when I forget to use it! 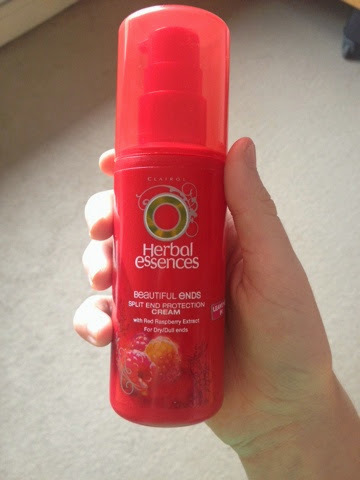 I then add Herbal Essences Beautiful Ends Split End Protecion Cream (Boots - £4.79) I just use a tiny amount in the ends of my hair and it helps protect them from further damage and leaves them feeling soft and healthy. It smells amazing and lasts for ages aswell! After I've either straighten my hair or left It curly I then always add these two products. 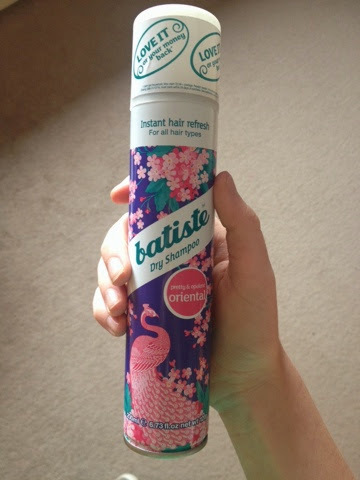 The majority of you reading this have probably heard of this product and/or use it; Batiste Dry Shampoo (Boots - £2.99, 200ml) I get pretty&opulent oriental becasue I love the packaging and it smells lush. Even if you don't have greasy hair it's great inbetween washes just to give it some volume. 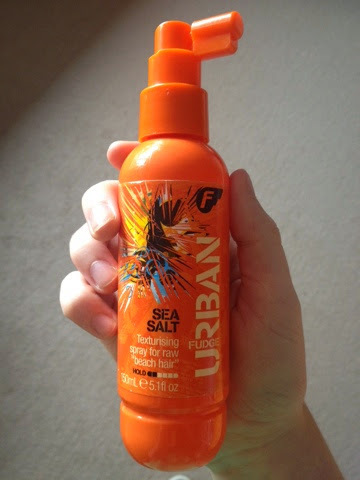 Finally I spray in Fudge Urban Sea Salt Texturising Spray (Superdrug - £6.99) This gives an instant beach look and texture. I just spray it in my hand or on my hair and scrunch it. It smells of coconut (which I love) and the smells lasts for ages! So they're the hair products I use on a daily basis, if you have any questions comment them below or any requests of reviews or ideas you want me to blog about. Like I mentioned earlier I found a hairstyle that I find suits curly hair really well! It's Zoellas Festival Get Ready With Me video - http://youtu.be/oozTOMVw0Mk and it includes a makeup tutorial then the hair style.